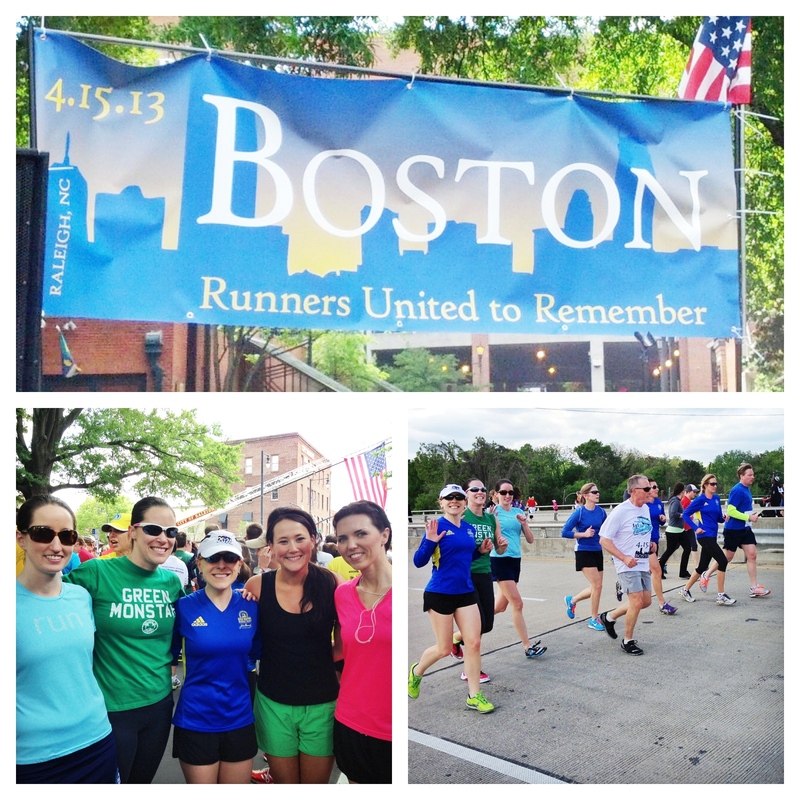 Boston Memorial Run | Run Inspired. This afternoon over 2000 runners came together to honor those affected by the tragedy in Boston. How? With a 3 mile run of course. In less than 1 week, the city of Raleigh, the local running stores, and local running groups organized an inspirational event with amazing crowd support. There were children, families, walkers, 2013 Boston participants, and every one in between. It wasn’t really a race but instead an opportunity for people to show their support. It was the perfect way to spend a Sunday. 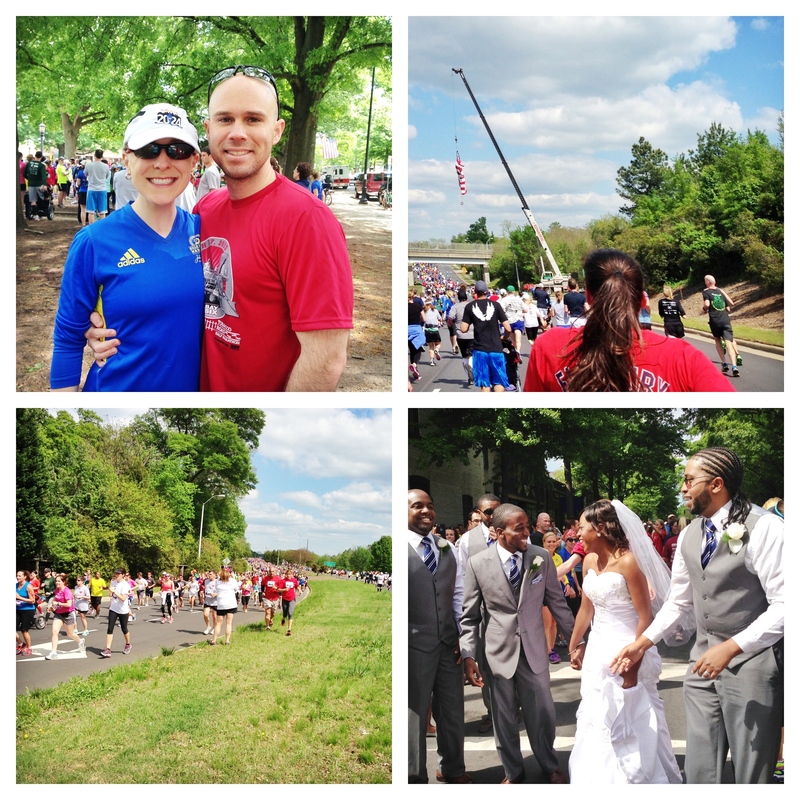 A beautiful day for a wedding and a run. This awesome couple joined in the run as well. sad we missed you out there, it was an incredible event! It brings a tear to my eyes when ever I hear about these events. I was in Florida last week and was suprised by the level of support so far away from Boston. A local running club in Estero let me run with them for their Boston Memorial run. It was so emotional for me. I told the club president how I felt but I think my eyes told her more than my words. Thank you. We do feel the love here in Boston.